I’m an introvert and I’m proud to say it. For years, especially when I was younger, I was never comfortable in my own skin. I always felt like something was wrong with me. I didn't have a lot of friends, I rarely engaged in conversations, and I seemed to be in my own little world. High school wasn’t a particularly fun time for me as I often hid in the shadows. Only when I was in college, I took a sociology class and learned about introversion. I was completely blown away and a lot of it made sense of who I was. But it didn't stop some people from judging me. I was that introspective, reserved guy. I could come off as too serious to certain people and aloof to others. But for the few people that knew me well, I was the loyal friend who is there when a problem arise or I could talk passionately about things that matter to me the most. That's why introverts are so misunderstood, because many people have a hard time figuring them out. One thing introverts crave is alone time. Because they get their energy from within. 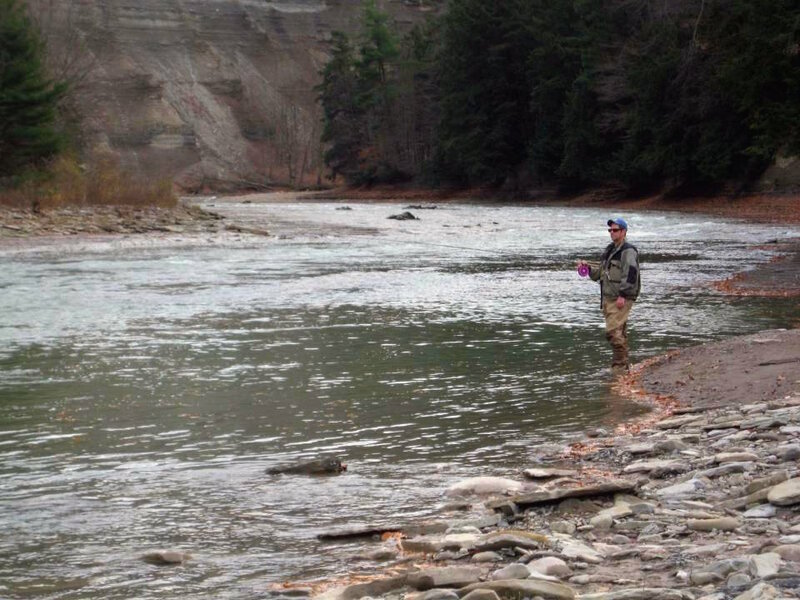 That’s probably why I enjoy fishing so much, because of the solitude and slow pace. Some guys like the camaraderie and bonding. There’s a time and place for that, but it's done in small doses. Generally, I prefer to head out alone. Its good for the soul and mind after a long grueling week at work, which ironically I deal with the general public on a daily basis. The weekends are the time to charge the batteries and disappear into the upper reaches of the Alley’s rivers far from people. Classic introvert dilemma and if I was taking someone else, they would probably strangle me. You would think with almost 20 years of fishing the Alley’s streams I could pick a river and be comfortable with the decision. Sometimes it’s easy when all the other rivers are too low and clear, the most logical choice would be the Grand or if it’s really cold out and there's a chance of slush, the Rocky would make sense because it’s so close to home. If I’m going with a couple of friends, we make a decision the day before. But in my head, I’m thinking of other possibilities and at times I try to change their minds. But if every river is fishable, I'll agonize whether I'm making the right decision or not. Now you can see why I prefer to fish alone. What introverts lack in decision making, they make up for it in attention to detail. Introverts process everything in their surroundings and pay attention to all the sensory details in the environment. When I’m on the river, I’ll carefully read the water. I watch the bubbles and the texture of the water. In my head, I’ll ask myself if I was a fish, where would I be? It can be a long pool or a tiny section of pocket water. I’ll analyze it before I cast it out. Even when I go to a section that I never fished before, I have a knack for getting on fish. Call it intuition because introverts have this uncanny ability to go on hunches and gut feelings. My intuition will tell me when its time to throw in the towel, pass up a spot or tossing the float into a small run. Even when I'm fishing a remote section, I'm always looking over my shoulder. I what I'm looking for if any other people are coming. I'm a very private person and I generally don't like fishing around other people. Why? Because I hate small talk. Small talk is meant to be light and fun. It flees from depth and meaning. Personal questions are considered inappropriate. From my point of view, I see small talk as not authentic. This is where some people will take it as me being standoffish or cold. This is frequently misunderstood as introverts hate talking. However, this is not so. Introverts like the right kind of talk. So what is the right kind of talk? Things that matter to me and that are important. 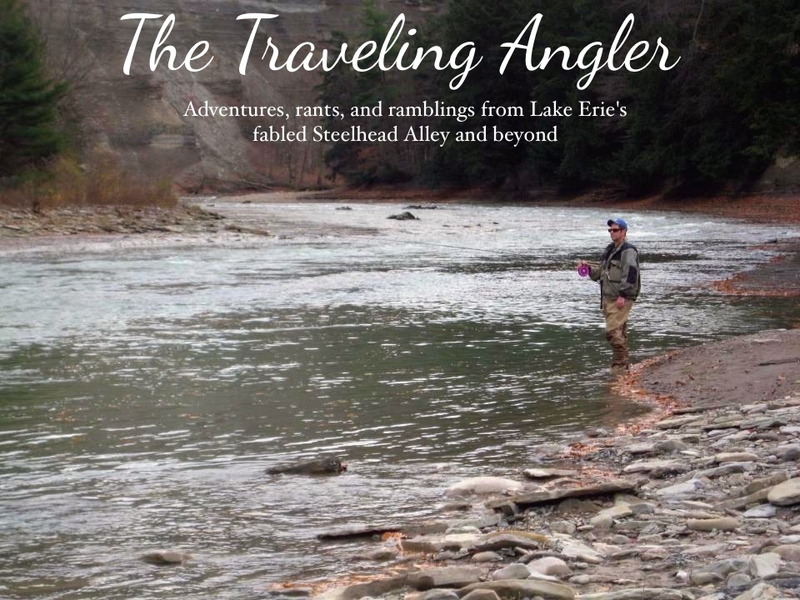 I can talk for hours about steelhead, environmental issues, the food scene in Cleveland and music. But, talk to me about meaningless topics and I'll probably look up with a blank expression on my face. Even when I'm fishing with the guys, I'm more focused on my float then engaging in relentless banter. They understand that I'm not the social butterfly, that I'm a passionate angler who loves to go out regardless of the weather or the time of day, I'm always game. I've accepted that I have limitations. I still struggle having to fish around a group of people and in most cases, I'll pass up a good spot in order to get away. If you fish next to me, I'll be cordial and that it be the end of it. I generally won't engage in starting a conversation. I'll be too focused on fishing. It's nothing personal. Even if I start hitting fish, eventually I'll start thinking about where's the next place to fish. My gut will tell me, that I should head down and fish that tail out where I seen five people pass it up. Sitting on a spot all morning is a waste of time. So the next time, you run into a person and ask "Any luck?" and that person turns to you and replies "Not bad" and turns their back and resumes fishing. Chances are you've encountered an introvert.